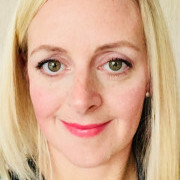 I’m from a Therapeutic and Counselling background, working across a variety of Therapeutic and Assessment Services supporting the Emotional Health and Wellbeing of families for over 15 years; in particular with Looked After Children, Young People and supporting Foster Carers and Adoptive Parents. I became a Mum following my own IVF journey several years ago. When the opportunity arose to train as a Freedom Fertility Coach, this felt such a privilege. I am passionate to support the Emotional Health and Wellbeing of individuals and couples trying to conceive and through fertility treatments. I support and empower people to understand and transform the often challenging emotional experiences they are facing. Mind-body connection and positive mindset are significant in promoting resilience and being able to rediscover the joy in our lives; to reach the strongest place possible whilst still holding space for a family. I offer this support via coaching sessions across Cheshire and Manchester.